My skin has been so dry and dehydrated lately and I have been exfoliating 2-3 times a week to remove dead skin cells and replenish skin with oils and moisturisers. 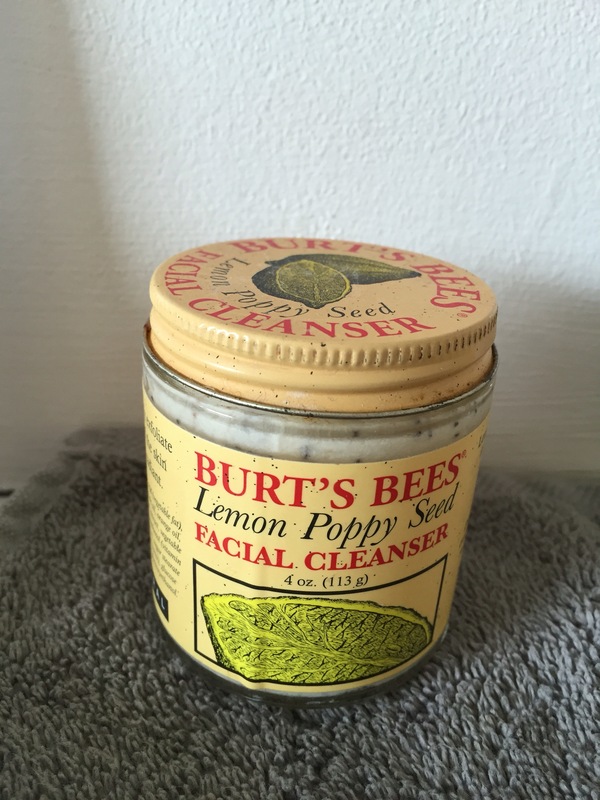 Burts Bees Lemon Poppy Seed Facial Cleanser: I’ve been using this for a couple of years now so I have to include it. It’s so good when your skin is feeling tired and dry as it cleans and gently exfoliates removing surface dead skin but it’s gentle enough to use daily. The lemon scent is great for mornings too and I keep it in my shower and just rinse it off with a facecloth (flannel) when I’m in the shower, time saving when I’m stuck for time. 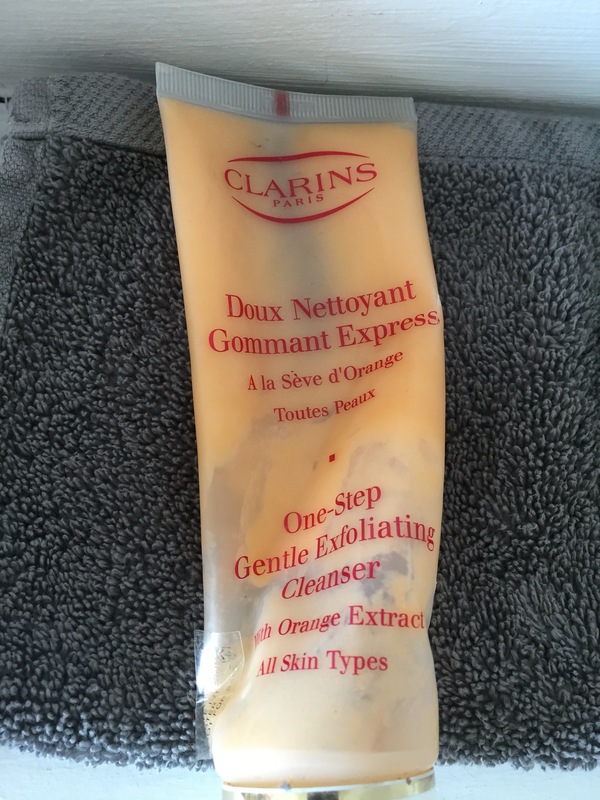 Clarins one step gentle exfoliating cleanser with orange extract: I’ve had this ages and it’s definitely my favourite exfoliator. The tiny particles really get in to the skin and remove dry flaky skin. 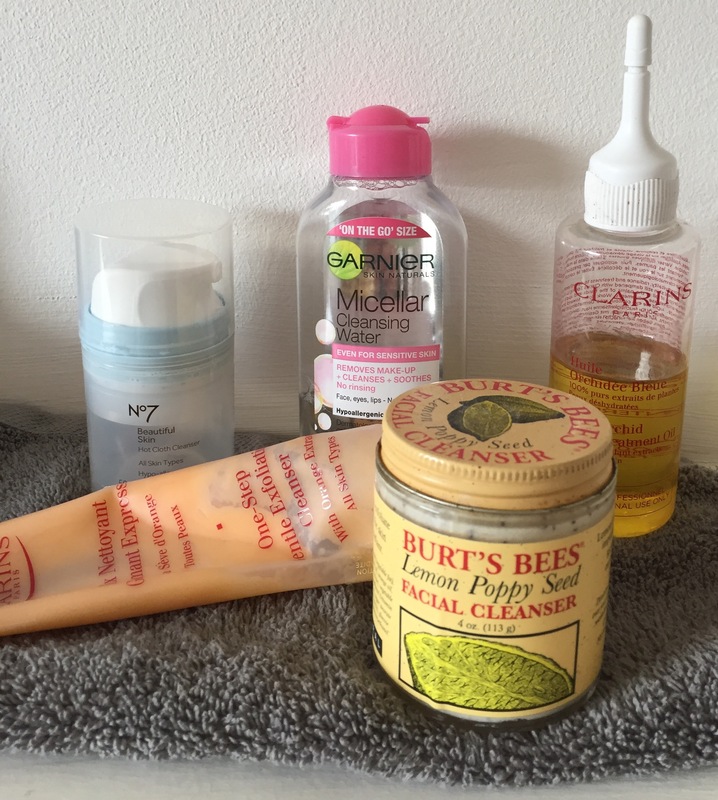 My skin is left fresh and shiny afterwards and I love the clean feeling it gives. 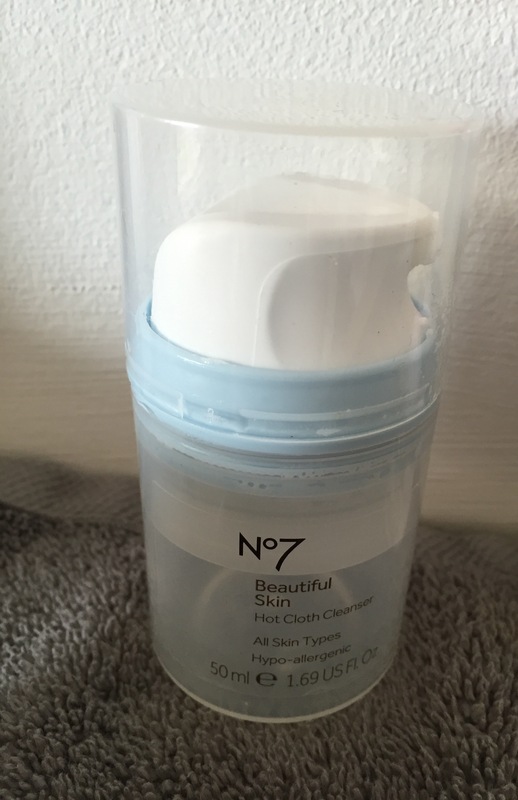 No.7 Beautiful Skin, Hot Cloth Cleanser: I have been using this for a few months now morning and night(it’s all gone now) I use just one pump and it removes all my make up including mascara. I apply it to my face using circular motions and then hop into the shower and use a facecloth(flannel) or muslin cloth with warm water to gently remove all my make up and it leaves my skin feeling really soft. (I boil wash all my face cloths then and dry in dryer to get them nice and soft and fluffy). 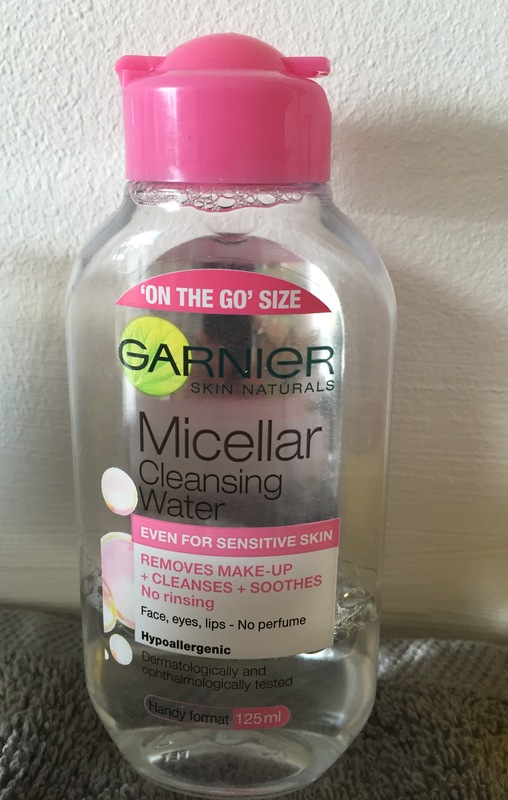 Garnier Micellar Cleansing Water: This is a great little cleanser which removed everything but not Inglot gel liner. (This took a bit of scrubbing) which is not great around the gentle eye area. I use this with cotton discs and gently rub in circular motion to remove my make up. Clarins Blue Orchid Face Treatment Oil: This oil was sent to me by Clarins ages ago and as you can see by the bottle I just love it. I use 4-5 drops rubbed in my hands and apply to whole face (avoiding eyes) and neck and let it soak in before I sleep at night. The fragrance is gorgeous and the oil leaves my skin glowing and soft the next morning when I wake, what’s not to love.